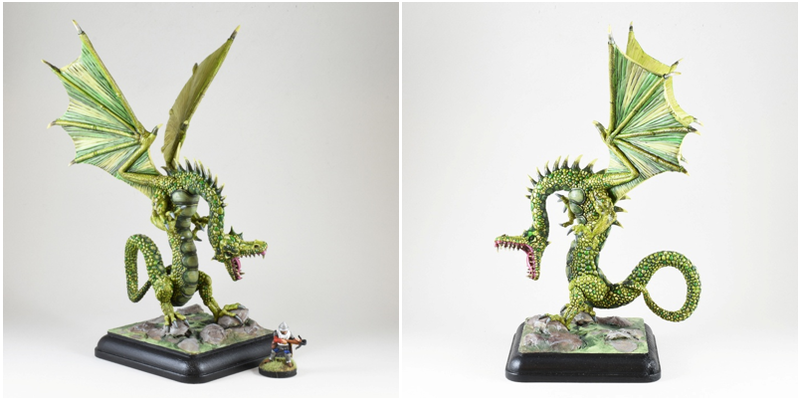 Badger Games is pleased to announce the release of RavenClaw Miniatures' brand new Green Dragon. This is a huge and fantastic 28mm kit allowing the creation of one of the more iconic role-play and wargame dragons. This kit comes unassembled. However, it is a simple kit and you do not need to be an engineer to put it together. 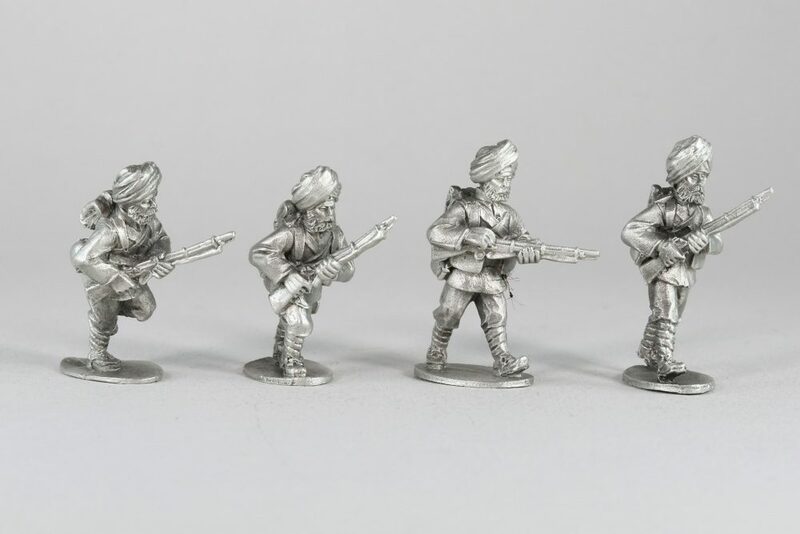 It is unpainted and the infantryman is for scale only. Green Dragons are notoriously dishonest troublemakers (no reflection on Badger Games), and this green dragon is ready to plague your town, shire, woods or battlefield with all the mischief (oh, and fire), green dragons are known for. RavenClaw Miniatures are available exclusively at Badger Games. Badger Games has extended our international shipping promo another month, so it will not require a dragons' treasure horde to get this to you! Badger Games is pleased to announce that we now stock the complete Lucid Eye Publications range in the USA. It is hard to describe these wonderful miniatures sculpted by Steve Saleh. Part pulp, part fantasy...part through the looking glass. There are a lot of great figures here to add to a host of different collections. The complete line is on our website now. Come see the Lucid Eye lines at our booth at Gary Con and Adepticon in March! The Empire of the Drantakh is expansive...sprawling across galaxies. The Drantakh are a haughty race filled with feelings of their own superiority. At the center of this Empire, commanding all its legions, is the Emperor. The Current Emperor is Cha'hanit Drantakhinala IV. As Emperors take many wives and sire many children, with each hoping himself to one day sit on the skythrone, the life of an Emperor is as perilous at home as it is on any battlefield. Palace intrigue, coups, rebellions and machinations of all kinds are common. As such, Cha'hanit does not trust the Veliti Drantakh guards of past Emperors as he endeavors to push the boundaries of the empire ever further. 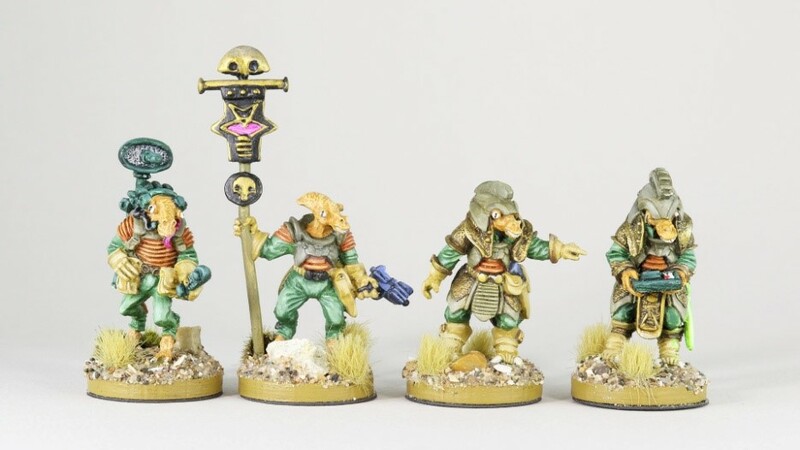 Included in this set is the Emperor, his faithful Hotekh bodyguard, his Imperial standard, his diminutive Grinkh servant and his personal communications officer. 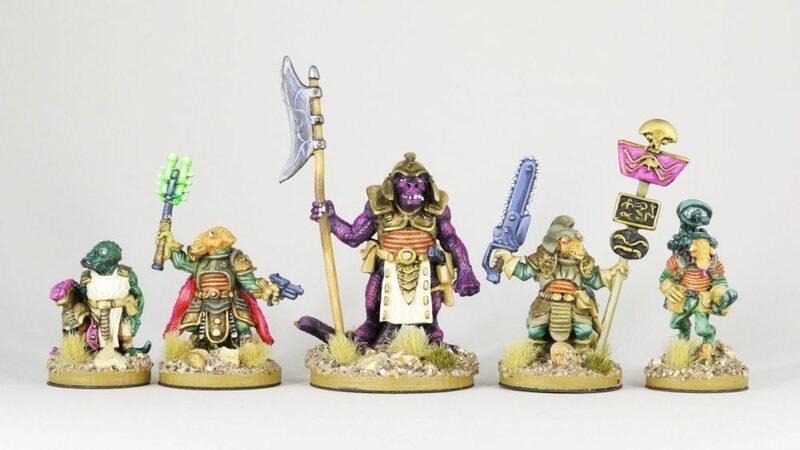 Badger Games is pleased to announce the release of the Emperor and Legion High Command sets for Regiment Games' ever-expanding Drantakh line of miniatures.